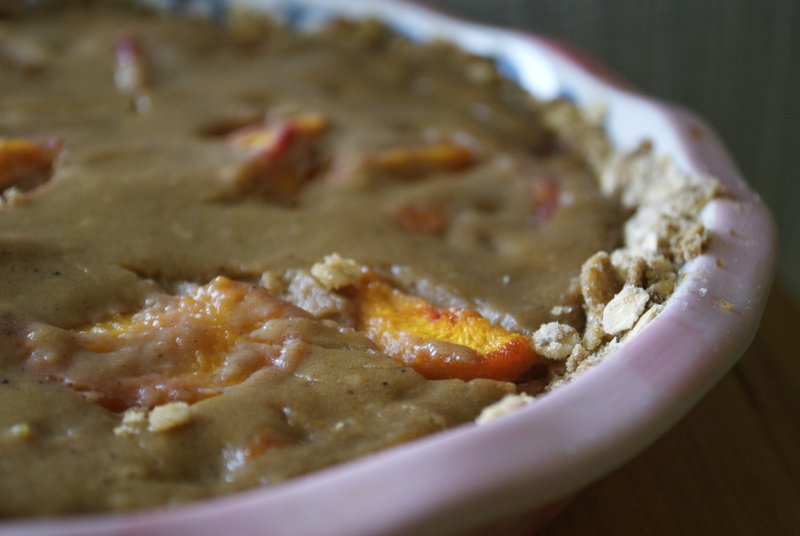 First, inspired by one of my local favorite eateries, Good Girl Dinette, came this Licorice Peach Pie. I made this pie with cane sugar only, no brown sugar and then added licorice powder. Licorice powder is made from licorice root, dried and then pulverized into a fine powder. 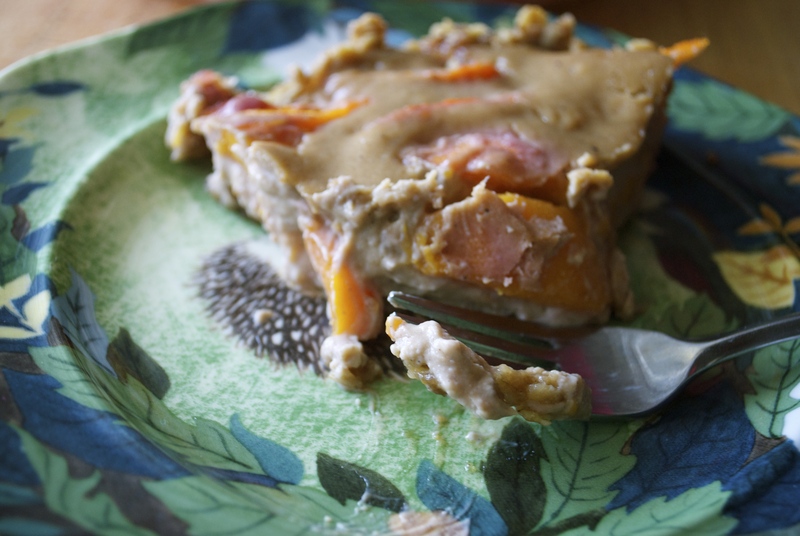 I wouldn’t say it was the best peach pie that I’ve made, but it was unusual and tasty. Plus, it gave me an opportunity to play with flavors and try something new, which I love doing. 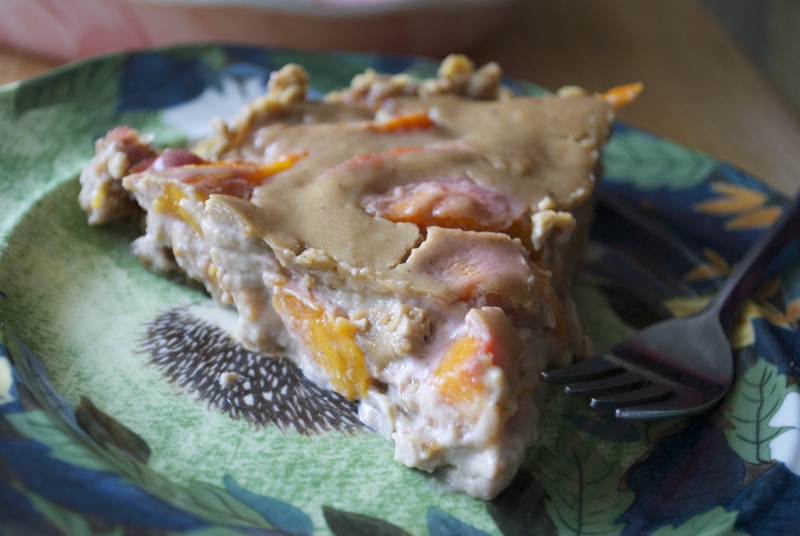 Then came this masterpiece: Peaches + Cream Pie. It may not be all that easy on the eyes, but trust me when I say that this pie really hits you in the food feels. One bite is instantly soul-soothing–personally, I felt transported to a perfect southern porch, complete with sweet tea, rocking chair and a warm breeze, but not too hot….all with a view of some flowering pecan trees. 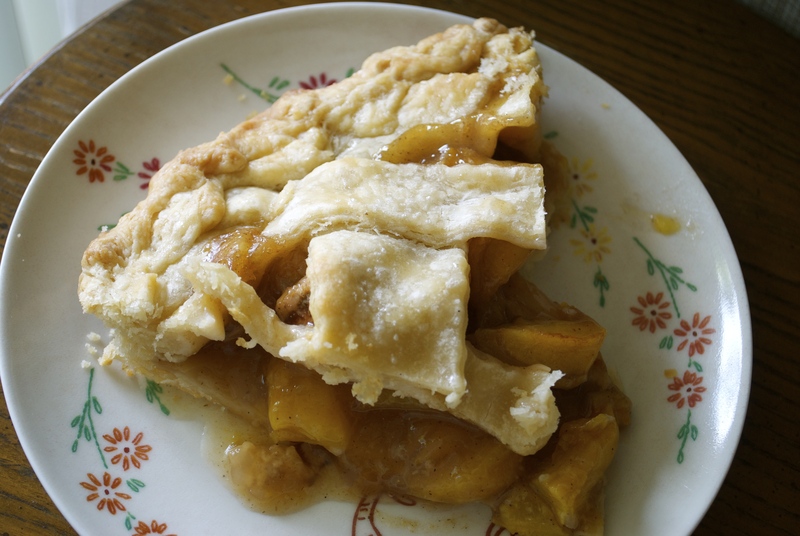 What makes this pie even better is that it’s relatively easy to make and again, tastes very impressive. *For the crust, I used the Oat Crumble Crust from the book. The only adaptation is to replace the butter with Earth Balance. I don’t have permission to post, so use your favorite prebaked cookie crust or graham crust. 1/4 c vegan cream cheese, store bought or homemade ( I like the recipe for cashew cream cheese from Miyoko Schinner’s Artisan Vegan Cheese) If you use store bought, let it soften a bit. In a medium mixing bowl, combine sliced peaches with lemon juice and cane sugar. Set aside. In the bowl of a standing mixer (or with a handheld mixer) beat the cream cheese and brown sugar together until smooth. Add the remaining ingredients and beat until mixed. Pour some of the custard into your prepared crust, but reserve some of the custard to pour on top. Arrange peaches in the custard however you like. You can arrange them in a nice spiral pattern or throw them in haphazardly if you want to get the job done 😉 Pour the remaining custard on top. Bake for 35-40 min. 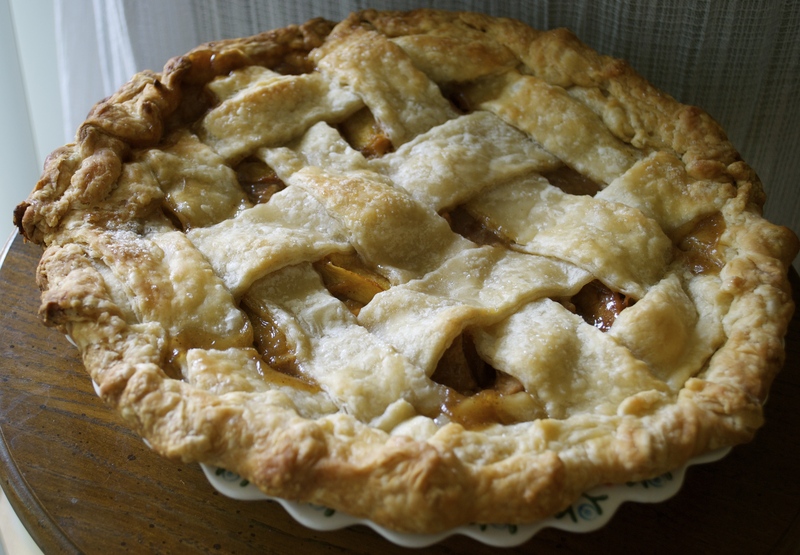 The center of the pie may look slightly jiggly, but you’ll know it’s done when the edges start to brown and look just a tad dry (they won’t taste dry). Let the pie cool to room temp. You can serve at room temp or refrigerated. ← All of the foods. All of them.